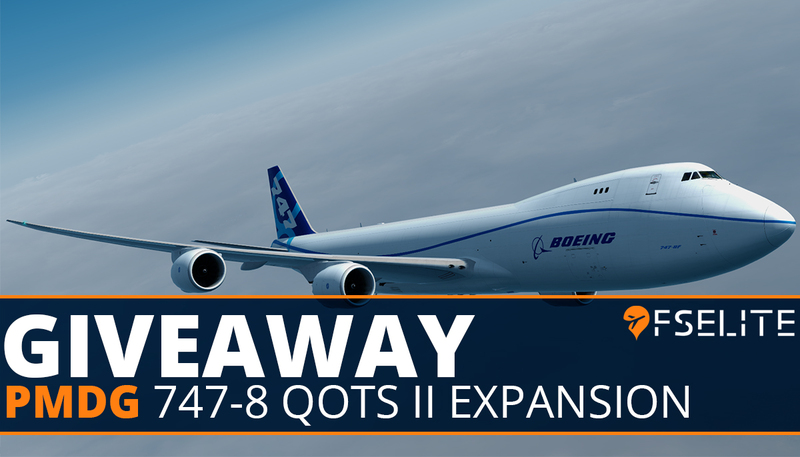 FSElite is delighted to be able to run a giveaway for PMDG’s brand new 747-8 QOTS II Expansion pack. This contest is available for both P3D and FSX users, giving you all a chance to get your hands on this fantastic product for free. PMDG announced last night over on their Facebook page that the product will be released this afternoon. To enter this contest, you need to guess the correct Zulu time (e.g 1200z) of release for the 747-8 and we will pick one person at random from those who have guessed the correct answer. In order to receive the product you will need to have a PMDG account so make sure you have one setup. Also, as this is an expansion, you will need to have the PMDG 747-400 base package already in order to use this product. Therefore, please make sure that you enter only if you own the base package or are planning on purchasing it. Hi, I'm Ryan, from the temp agency.